Have you seen #5for3ReadCLT on our social media? That hashtag refers to the initiative we ran in partnership with Promising Pages, where each $5 donation from our wonderful supporters provided 3 books for a student at Hornets Nest Elementary School. We believe summer reading is essential to the success of children. 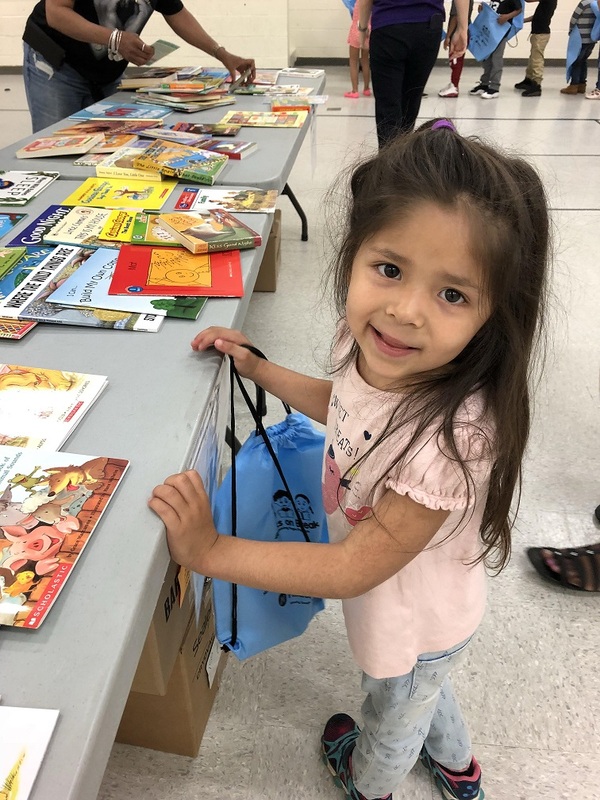 Thanks to the support of YOU, our generous donors and volunteers, all 750 students at Hornets Nest had the opportunity to shop at our pop-up book fair on May 15th, and they loved it! 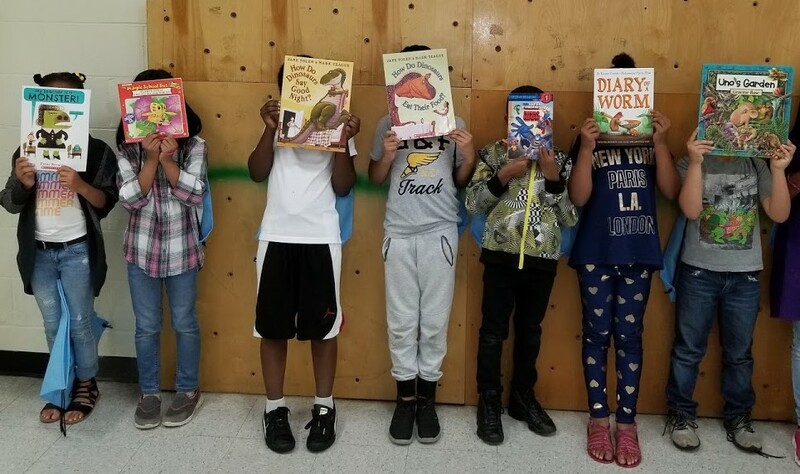 After hearing about the risk of summer brain drain from a ‘professional bookworm’ from Promising Pages, students spent time perusing the massive collection of grade-appropriate titles and each chose 3 free books to add to their home libraries. They also received a handwritten inspirational note from a fellow bookworm, a bookmark with reading tips for parents, and a bag to carry it all home. Volunteers at the event commented on how well-behaved the kids were and how interested they seemed in finding books that they’d enjoy reading at home with their families. We know that the smiles on the kids’ faces will continue through the summer months as they spend time reading their books at home. Likewise, the smiles on their teachers’ faces will continue when the kids come back to school in the fall with their literacy skills maintained. This program serves as a wonderful reminder that any amount, even $5, can have a significant impact on children in our local communities. 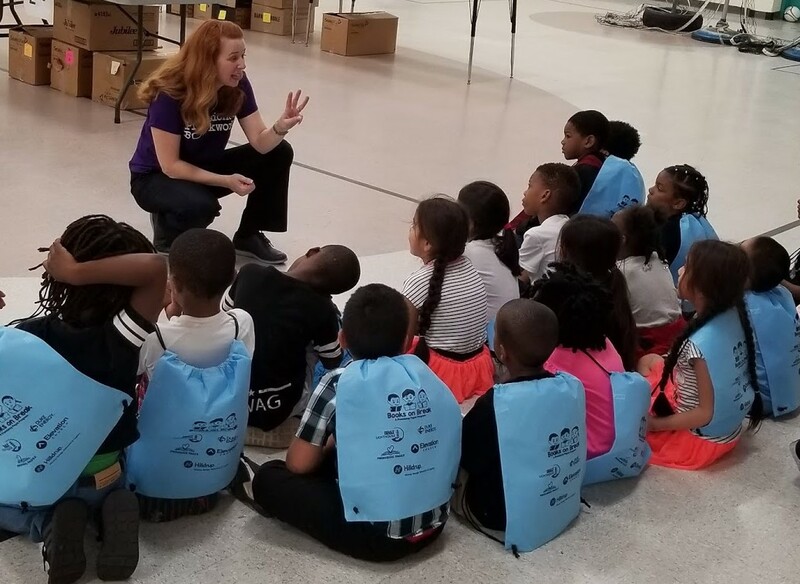 We are so grateful to all who helped make this free bookfair possible: our supporters and volunteers, Promising Pages, and the staff and students at Hornets Nest Elementary School. Did you miss your opportunity to support this initiative? We have other initiatives that need you – click HERE to be taken to our website to see all of the options. 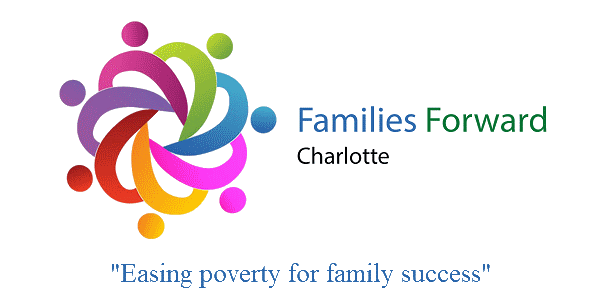 As we wrap up our first year of service with 20 Charlotte families, we are surveying and collecting information to make our program even stronger. We plan to expand our program into another CMS school and work with a total of 30 families during the next school year! But, we need YOU. We are looking for passionate volunteers that want to serve a local family as a mentor (we call them Family Liaisons) by guiding the family in setting goals, locating necessary resources, and communicating needs to our organization. The time commitment is only 4-6 hours a month from September through early June, and training is provided. Will you consider being the "hand up" that a family needs to break the cycle of poverty and sign up to be a Family Liaison today? If you want to learn more about this volunteer role fill out the volunteer form on our website or email info@familiesforwardclt.org.